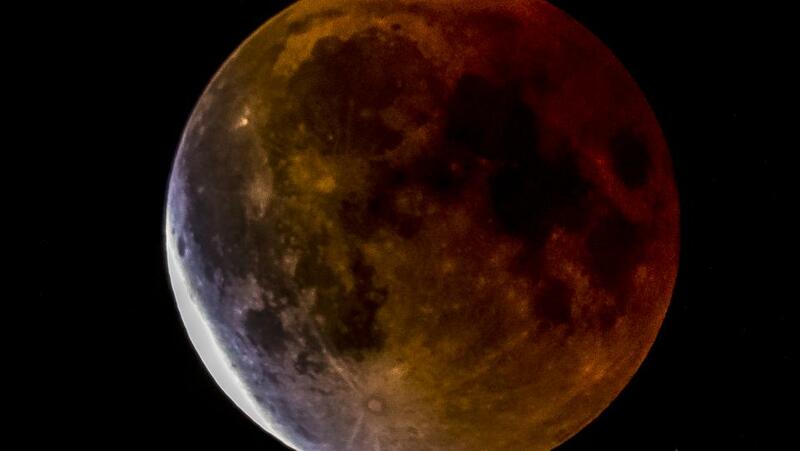 The Moon will influence more than ocean tides on Sunday, January 20, when it draws millions of people to the Western Hemisphere’s night sky to witness a rare cosmic event: a Super Wolf Blood Moon. So why so many names for what would otherwise be an ordinary full moon? First of all, “super” is when the full moon is near its perigee, or closest point orbiting the Earth, and appears larger and brighter in the sky. Secondly, “wolf” is the name given to the first full moon in January. Lastly, a “blood” moon describes a total lunar eclipse, when the Earth blocks the sun and casts a shadow on the moon’s surface. 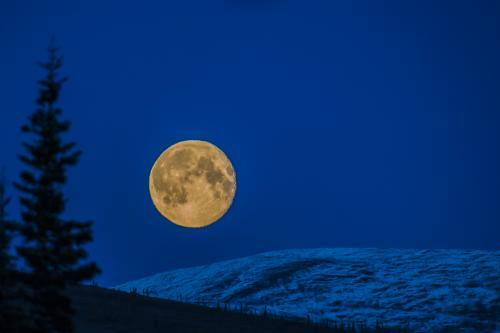 Here in Fairbanks, lunar events pass by often unnoticed during the peak of the midnight sun season. This coming Super Wolf Blood Moon is all the more special because it’s happening during a dark winter night in the sub-arctic. The Moon will appear in the east, above the horizon during this eclipse, so with good weather conditions in Fairbanks, the entire event will be visible. The total duration will be about five hours and begins around 5:30 pm local time. The maximum eclipse, when the full moon turns “blood” red, occurs shortly after 8:00 pm local time. While in Earth’s shadow, details of the Moon can be seen with a pair of binoculars or a telescope filter-free. A blood moon is one of the few opportunities we have to see both the moon and the stars in the sky at the same time, since the full moon is usually thousands of times brighter. As we get closer to this weekend’s eclipse, make sure to visit our Aurora Tracker often. 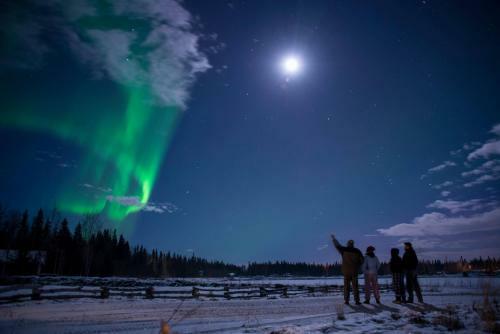 If the northern lights happen to appear in our eastern sky on the evening of January 20th, viewers and photographers will be able to witness and capture a spectacular celestial sight!